In horse racing greatness is defined by speed. Being the second fastest counts for little. You have to win. And win. And keep winning until every challenger of your generation is put to the sword. Of the twelve horses lined up on Newmarket Heath that 2011 day, one would do just that. And more. To become the greatest racehorse that has ever lived. Frankel was born on 11 February 2008, with four white socks and a blaze, from impressive equine lines on both his parents’ sides. Simon Cooper revisits the whole of the horse’s life, giving readers an inside tour of the calm oasis that is life a stud farm, where a foal will live with his mother for the first year of his life. Next, the atmosphere of heady possibility that marks the early days of training. Roadwork. Gallops. Trials. Turning raw potential into something more. Frankel begins to set himself apart. A detailed and fast-paced narrative breathlessly recounts the racing career of the horse who, by his retirement to stud at the age of 4, would be rated the greatest of all time. Cooper weaves the horse’s tale with those of his trainer, battling cancer, the stablehands who coped with his explosive nature, the work rider who tamed him, the the jockey who rode in all fourteen of his races, and the owner who saw his potential from the very beginning. The result is a rich and multifaceted tale of modern horse racing, the lives of everyone involved, human and equine, and the unadulterated glory of winning. And winning everything. 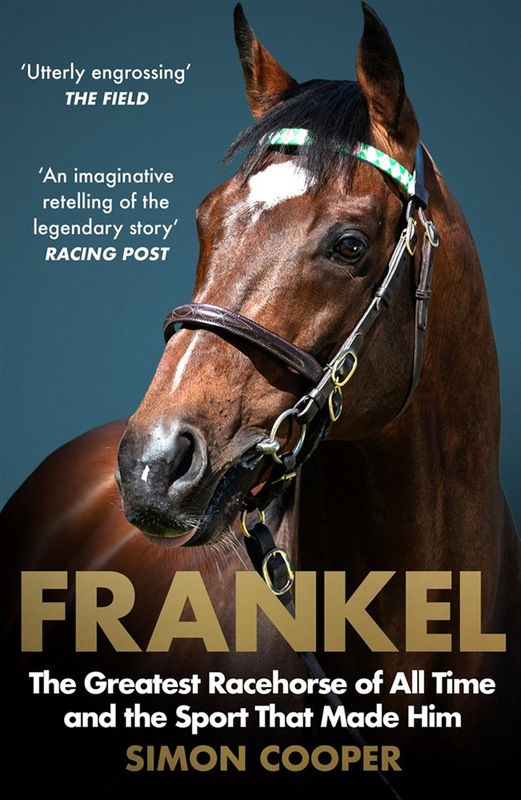 Acquista Frankel: One Race, 12 Horses and the Beginning of a Racing Dynasty in Epub: dopo aver letto l’ebook Frankel: One Race, 12 Horses and the Beginning of a Racing Dynasty di Cooper Simon ti invitiamo a lasciarci una Recensione qui sotto: sarà utile agli utenti che non abbiano ancora letto questo libro e che vogliano avere delle opinioni altrui. L’opinione su di un libro è molto soggettiva e per questo leggere eventuali recensioni negative non ci dovrà frenare dall’acquisto, anzi dovrà spingerci ad acquistare il libro in fretta per poter dire la nostra ed eventualmente smentire quanto commentato da altri, contribuendo ad arricchire più possibile i commenti e dare sempre più spunti di confronto al pubblico online.